Rated by fDi Magazine as fourth of the ‘large cities of the future’, Mississauga residents know it takes vision to develop and grow. Developed as a suburb of Toronto, competition is close at hand. 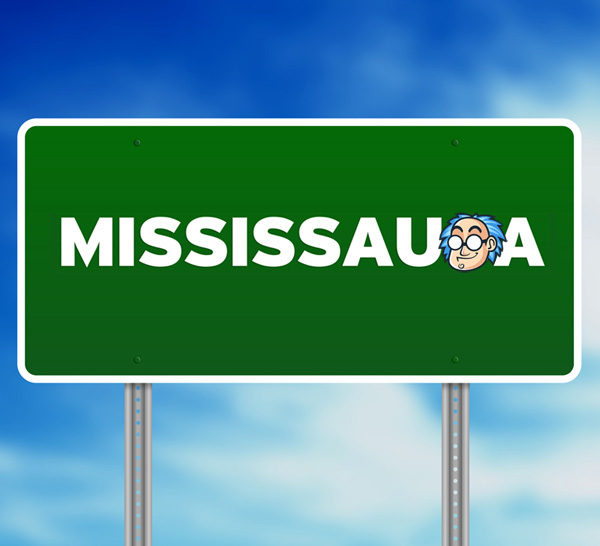 Home to the headquarters of Mississauga Web Design companies and other large organizations such as Microsoft and GE; Mississauga is no slouch in the IT field. Over 50 of the Fortune 500 Companies have headquarters in Mississauga including many IT development centers. Communication and presentation are key elements in taking the lead in any industry. Call for a FREE No Obligation Web Design or Graphic Design Quote! 1 (800) 916 3864. 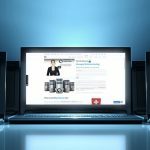 Thought Media, a leader in website design services, is eager to assist clients and businesses in Mississauga, Ontario. We’re web design, graphics, animation, and app experts who strive to optimally communicate your brand message to prospect customers. Your company’s graphics design & brand should be communicated quickly and clearly to your potential customers. Potential customers are bombarded with millions of messages, images and brand statements on a daily basis. Thought Media creates innovate websites incorporating brand statements that deliver impact, attract attention and convert prospective customers and leads to purchasing customers. Our Toronto web design team is ready to power your website ahead of the competition. Contact us now for a free quote. 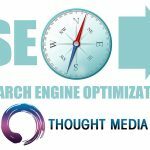 Every website created by Thought Media is fully search engine optimized to help you reach the top of the search results for your selected keywords. 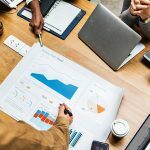 We’ll help you choose the keywords that prospective customers are most likely to be using to search for your products and services. Then we’ll incorporate them into your website in just the right amount, enough to attract the attentions of the search engine’s robots to place you well, yet not so much to distract the viewer from the content on your website. Not only do you have to communicate clearly and concisely, you need to present your brand in a way that is visually appealing. Thought Media has a team of Graphic Designers ready to create powerful, attention grabbing images that will convert customers. We’re also able to arrange Photography of your company’s campus and your staff at work. We’re capable of creating awesome logos. View our work to see samples of recent logos we’ve created for clients. Logos are the ultimate visual tool to communicate your brand in a small visual statement. Well designed logos are of the highest importance because they communicate the whole of your mission, brand and company in a matter of seconds. Don’t settle for anything less than our expert team of Mississauga Graphic Designers. With competition right around every corner you have to use every tool at your disposal to propel your company to the top. As experts in Mississauga Web Design services, we’re here to create customized websites catering to your every need. We’ll be happy to prove it to you. Contact us now for a Free Web Design Quote and consultation.